Secrecy regarding Britain’s funding of a counter-narcotics operation in Pakistan linked to the death penalty faced scrutiny Thursday as a tribunal heard arguments on whether the British government should publicly disclose details on the matter. Despite Britain’s official policy of opposing the death penalty, it has funded the counter-narcotics program since the 1990s. 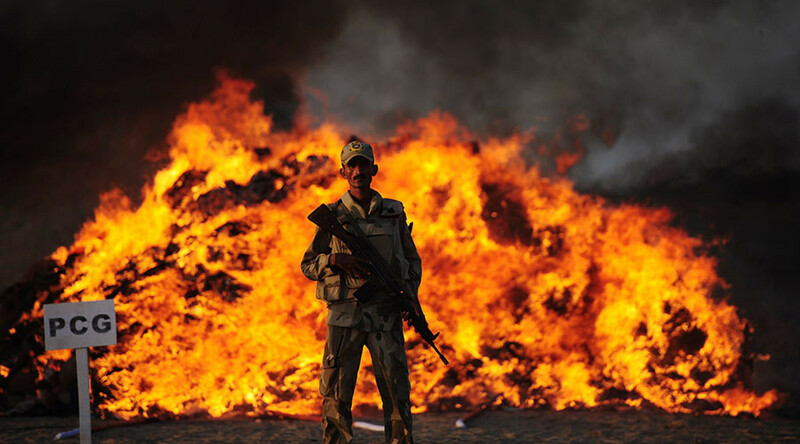 Pakistan’s Anti-Narcotics Force (ANF), which has received millions of pounds in UK taxpayers’ money, has openly gloated about securing death sentences for non-violent drug offenders. Yet amid growing calls for transparency, ministers have repeatedly refused to release documents examining whether UK funding given to the group could result in executions. Global human rights organization Reprieve says juveniles and exploited drug mules are often executed in states such as Pakistan and Iran. The group is challenging the UK government in the Information Rights Tribunal over its refusal to disclose a broad range of information relating to the Pakistan agreement. Reprieve is demanding the government release its appraisal of human rights and execution risks related to the program, steps it has taken to mitigate these risks, and whether parliamentary approval was secured for the scheme. At the center of the case is the government’s Overseas Justice and Security Assistance (OSJA) guidelines, which were introduced by the Foreign and Commonwealth Office following the 2011 Arab Spring. The guidance was drafted to ensure that the human rights implications of the government’s security and justice work abroad are considered in full. But since the OSJA was implemented, ministers have refused to be transparent about the assessments that have been undertaken and who signed off on them. Director of the death penalty team at Reprieve, Maya Foa, said the government’s determination to keep this information secret is steadfast. “The FCO is falling over itself to prevent information about how it ensures its overseas activities align with basic British human rights principles from coming to light. Yet if the measures taken were sufficient, why would there be any need to keep them secret?” she said. In December 2014, Pakistan ended an unofficial moratorium on executions. Since this policy change was enacted, Pakistan’s government has made its intention clear to execute each and every one of its citizens on death row. At present, this group is estimated to eclipse 8,000 people, more than 100 of whom are believed to be alleged drug offenders. In February 2014, a previous hearing relating to Britain’s funding of the counter-narcotics program was conducted in secret, following a request from the government. Thursday’s hearing is expected to be the last before a formal judgment is issued. RT approached the FCO for comment on the case but is yet to receive a response.